“Video” is booming – in the USA it has been an integral part of education and learning for quite a while. But also in Germany, educators and coaches for business-training, e-learning, distribution and sales are increasingly relying on the emotional and explanatory power of animated pictures. On the German speaking market, “Bell Media GmbH” (LLC), an institute for illustrated learning, combines video and advanced learning in three product lines: Being the first supplier of scenic video clips, the institute offers materials for the use in training and education (Eniqma Edition). The second product line is ideal for those who would like to refresh and extend their knowledge – when ever and where ever they want through video lectures from experts (Academy Edition). On top, Bell Media produces customized videos ranging from explanatory films to your personal image clip (Enterprise Video Production) – generally in close cooperation with systemic coaches and trainers from BRIDGEHOUSE Bell. Founded in Leipzig in 2011, the institute is shaped by it’s motivated and versatile team – and by founder Inge Bell with her 20 years of experience in business and media and with a good feel for trends and market developments, and last but not least: A heart for people. “In seminars I frequently encountered situations where I would have liked to illustrate what I am talking about”, CEO Inge Bell describes her motivation to establish Bell Media and Eniqma Edition. Since 2011, the institute develops, produces and distributes scenic video clips for the use in training and education. Presently, more than 80 video clips are available covering classic communication issues such as feedback, appreciation, conflict or management. The one- to five minute scenic clips with business- and everyday situations each come with a negative and an equivalent positive example. They are also available with accompanying teaching materials and/or English subtitles. “Our video clips transport the participant right into the topic”, explains Magdalena Grundmann, head of program of Bell Media. “They are witty, just like real life seems comic at times. But they do completely without satiric exaggeration.” The scripts used for the Eniqma Edition are based on actual life situations, thus ensuring identification and an optimal learning transfer. You may watch the full-length training videos at www.eniqma.info. If you would like to use the videos you may purchase a one to five year- or a license without time restrictions. With the Academy Edition Bell Media produces and distributes video lectures for those teaching others. This project was the first German-speaking train-the-trainer video course, assisting trainers, coaches and subject specialists with teaching, moderating and presenting. In 10 lectures, industry leaders, such as Axel Rachow, Amelie Funcke, Gert Schilling, Jürgen Schulze-Seeger and Barbara Messer give impressive insights into their specialist knowledge. Our train-the-trainer course is complemented by video lectures on modern business correspondence and intercultural competence. The video lectures are distributed via the e-learning-platforms Lecturio and Udemy. Eight video lectures have also been published on DVD in cooperation with managerSeminare and may be purchased via www.academyedition.info. With “Enterprise Video Production” Bell Media is also able to design and produce custom made products according to the client’s request. These training clips with individual corporate design, video lectures for self-marketing, video documentaries etc. are produced in our Bell Media studio or “on location”. Often times our production team works hand in hand with BRIDGEHOUSE Bell. For our clients it is the perfect combination of systemic business coaching & training, video concepts and production under one roof: “Different rules apply when working in front of the camera compared to real life interaction. If you have not mastered those, you are in danger of losing your authenticity instead of scoring points”, explains Inge Bell. Together with Magdalena Grundmann she trains clients before they stand in front of the camera. More information at www.enterprise-videoproduktion.info. Bell Media frequently likes to cooperate with BRIDGEHOUSE Bell. This way, clients, customers and productions profit from the synergies of media productions through Bell Media, systemic coaching, consultancy and training by BRIDGEHOUSE Bell. The results are professional overall concepts by experts for your company or your career. The team of Bell Media GmbH (LLC) is supported by additional camera people, cutters, animation professionals and actors that have cooperated with Bell Media for many years. 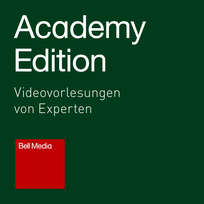 Hier geht's zur Eniqma Edition: erfrischende Videoclips zum Einsatz in Trainings und Seminaren. Enterprise: Maßgeschneiderte Videoproduktionen mit Vision für Unternehmen und Einzelpersonen.